A former Hertfordshire artist, Teresa now works in her studio in Cornwall close to the River Tamar, the landscape of Dartmoor and surrounded by Cornish coast paths, seas and estuaries from where she derives her inspiration. 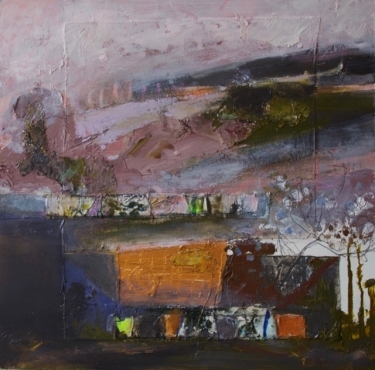 Her work is rooted in the nature and effects of landscape through changing emotions, movement, light and colour. Teresa gained a BA 1st class honours degree in painting from the University of Hertfordshire in 1996 and has since worked full time as an artist, exhibiting in galleries country and worldwide. Her work is now in many national and international collections, including the Bushey Museum & Art Gallery, One Aldwych London, Champneys Tring, Stock Exchange Building London, Hotel de Ville Nanterre Paris. Studio visits are welcomed by appointment.